How Often Do I Check My Antifreeze? Does It Need To Be Changed? Your vehicle’s antifreeze plays a crucial role in your engine’s performance. The antifreeze prevents the vehicle from overheating in the summer and helps the engine turn over and run in the winter. Should your automobile overheat, you could damage the radiator and other engine components, and you don’t want to sit in your cold vehicle in the winter and fight to get it to start. How often should you check your antifreeze and when does it need to be changed? Fairfax Auto Repair offers the following information. 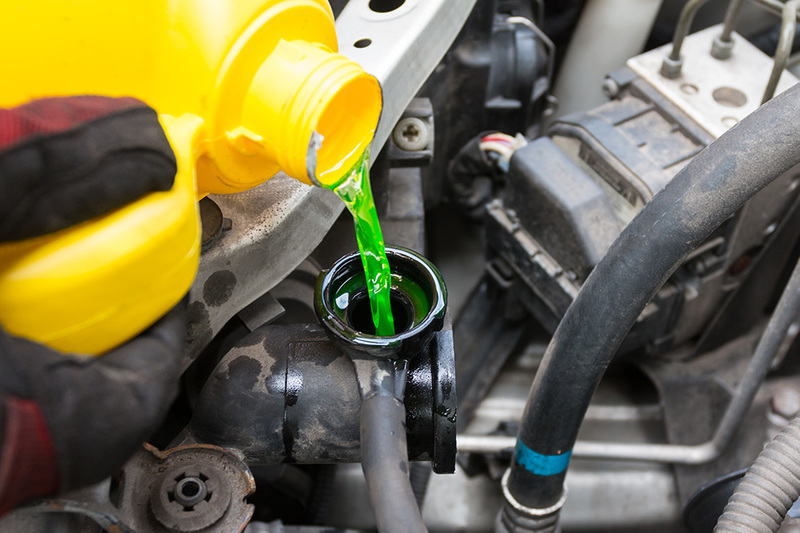 Unless your vehicle has a history of coolant issues, we recommend you check your antifreeze twice a year. Check it in the spring before the weather gets too hot and in the fall before the weather gets too cold. This helps prevent the aforementioned issues once the mercury does rise or drop, and it also puts you on an easy schedule to remember. Do you have your home’s HVAC unit maintained in the spring and fall? Check your antifreeze at the same time. If you notice your vehicle is running warmer than it normally does or you’re having trouble getting it to start in the winter, it might be time to have your old antifreeze flushed and replaced with new fluid. On average, most automobile manufacturers recommend a coolant flush every 30,000 miles or two years, whichever comes first. It’s best to check your owner’s manual for the specific recommendation for your vehicle, however. All of these things could signal old, dirty, and failing antifreeze. You might also notice leaks on your garage floor that aren’t oil. This, too, signals an issue. Finally, if you have to add antifreeze to your vehicle regularly, you not only need a radiator flush but also an inspection. It’s easy to check your antifreeze level. It’s best to check the level in the morning before you start your vehicle. This gives it time to cool off overnight. Pop open the hood and take a look at your fluid reserve container. If the antifreeze is below the fill line, it’s low. Only add antifreeze recommended by your vehicle’s manufacturer. You can find the recommended fluid in your owner’s manual. To check the fluid condition, it’s best to bring your vehicle into Fairfax Auto Repair in Fairfax, VA, as this requires pulling the radiator plug and inspecting the fluid inside. Call us at 703-822-5911 or stop by our shop today and we’ll take a look for you.